Tom Sykes (KRT) took his 28th career pole position last weekend with a 2’03.240 lap that gives him the best possible starting place for Sunday’s two WorldSBK races at Sepang. Championship leader Jonathan Rea (KRT) was seventh in Superpole and now starts the 16-lap races from the third row of the grid. 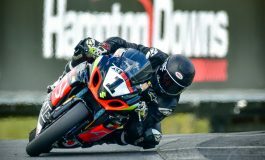 In a very open Superpole 2 session that saw several manufacturers competing for the pre-race advantage Sykes and his official Ninja ZX-10R came out on top after he made the best use of his qualifying set-up close to the end of the 15-minute session. Already second in the all-time Superpole winners’ rankings, Sykes put it all together again after a sometimes challenging period of practice, in which he and his team-mate Rea lost a full practice session due to a fall of heavy rain shortly before the second period of track action on Friday afternoon. Sykes is now confident that his team has found a strong race pace in readiness for Sunday, at what is one of Tom’s favourite circuits. Concentrating on race pace and tyre life on day two Rea was on course for a front row start in Superpole 2, after fitting a qualifying rear tyre. Finding a false neutral entering Turn 9 he lost vital time that it was not possible to claw back. 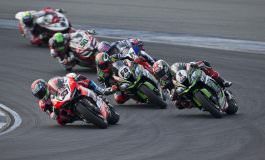 Despite starting from the third row the wide and open nature of the Sepang circuit should help him in the task of passing other riders, to make sure he is in a good position approaching the final few laps. Rea feels he has made the correct preparations to be strong at the end of each race, and if results go his way he has a mathematical chance to wrap up the championship itself tomorrow. David Salom (Kawasaki Team Pedercini) was unable to make it out of Superpole 1 and into Superpole 2 and he now starts the races from 17th place. Roman Ramos (Team Go Eleven Kawasaki) is one row ahead, thanks to his 15th place qualifying performance in Superpole 1.